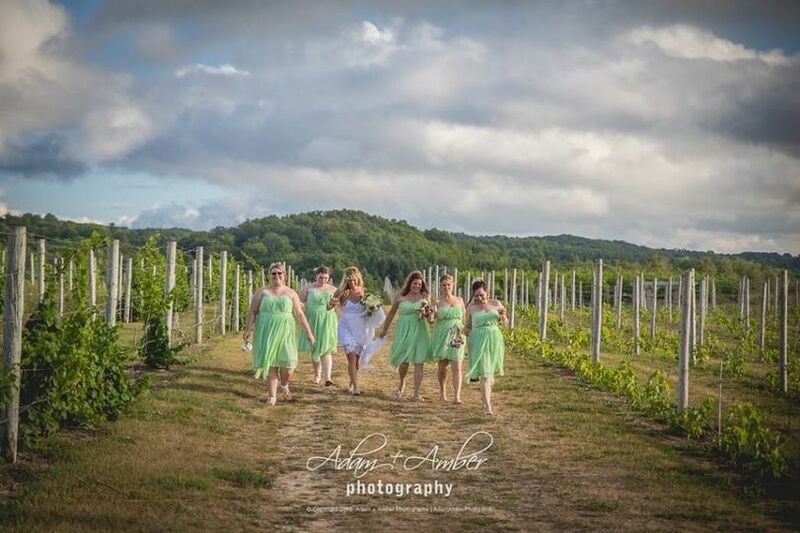 Located in the beautiful Leelanau Peninsula wine country, we offer a charming setting and exquisite award winning wines. Our facilities can accommodate intimate gatherings of 25 to larger events up to 130 guests. 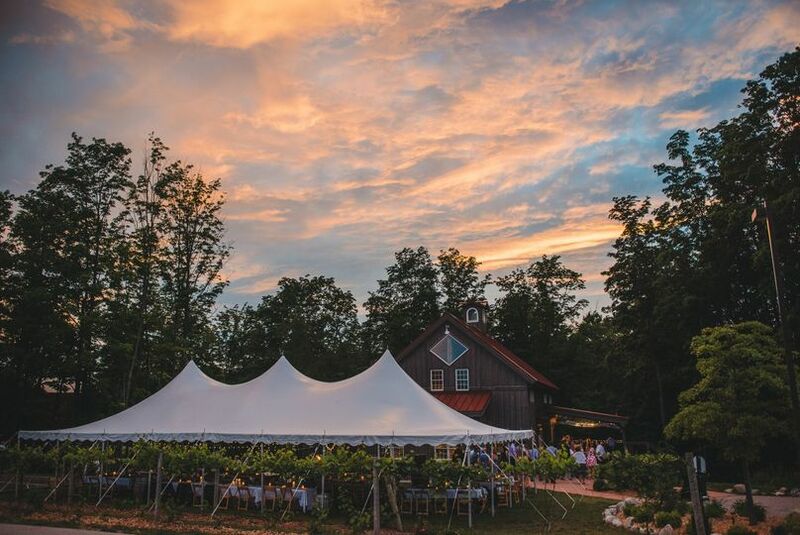 We have two venues to choose from, our post and beam barn tasting room or our pavilion, an 1800 square feet white high peak pole tent. All tables and chairs are inclusive of the facility rental. 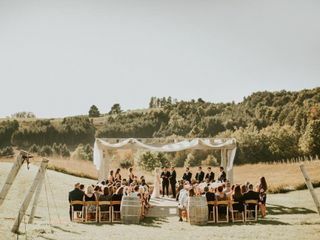 Whether you are looking for an outdoor reception surrounded by vineyards or to dine by candlelight in our rustic barn, we offer an ideal setting to capture your unforgettable wedding moments. 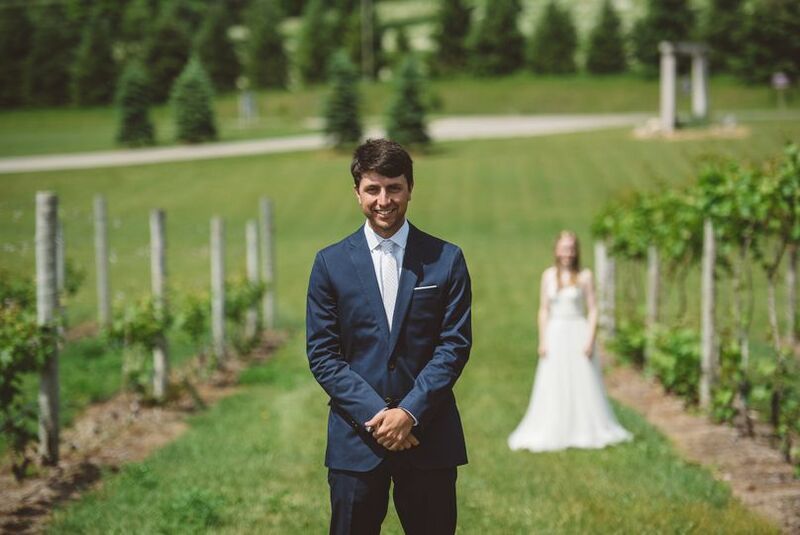 We had our wedding at 45 North this past September and it could not have been more perfect! My husband and I fell in love with 45 the first time we visited a couple years ago and multiple times had said that’s where we would get married. Kate was the coordinator and she was amazing right from the beginning! She was quick to get back with any questions I had and always made time for us whenever we came to the venue, no matter if we had official wedding business or were just hanging out at one of our favorite places! She also was very good at communicating and working with our wedding coordinator which made things that much easier! I never felt like I didn’t know what was going on or how everything would be set up on the day of. The staff during the event was incredible and did a great job of making sure our guests were happy! I cannot recommend 45 enough for a ceremony and reception venue! 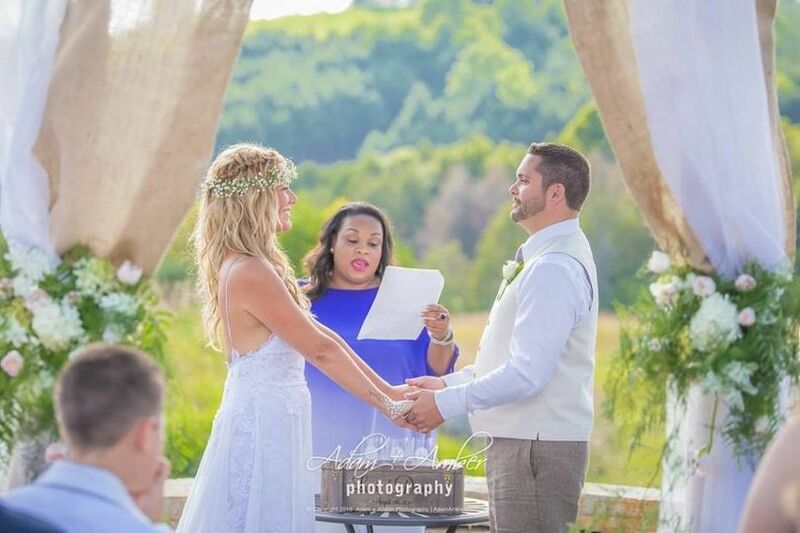 Channing our event planner was absolutely fantastic from start to finish for our wedding on May 3, 2014. Our wedding was the same day as the Sip and Savor, their wine season opener. She took time out to discuss this with me as the winery would be full of people. I assured her we did not mind, we only had 27 people coming so it was a very low key wedding. Channing and her whole staff did such a great job making sure we had everything we needed. 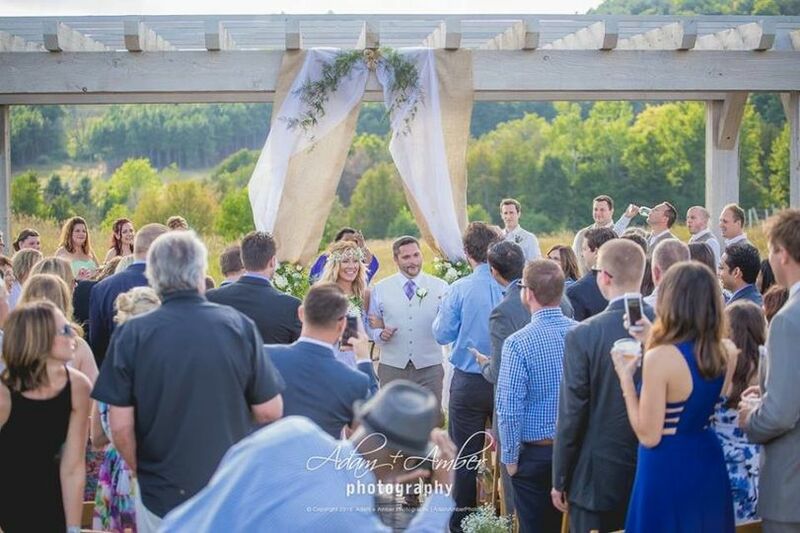 Our ceremony was in the vineyard and was absolutely beautiful! After the ceremony we headed to the upstairs tasting room for our wine tasting with our guest. Channing was there through our whole tasting and really helped our guest figure out which wine they would like. I cannot imagine life at 45 North without her. She is just a great host and did such a wonderful job on our wedding. She has a huge personality, very professional and the perfect manager! 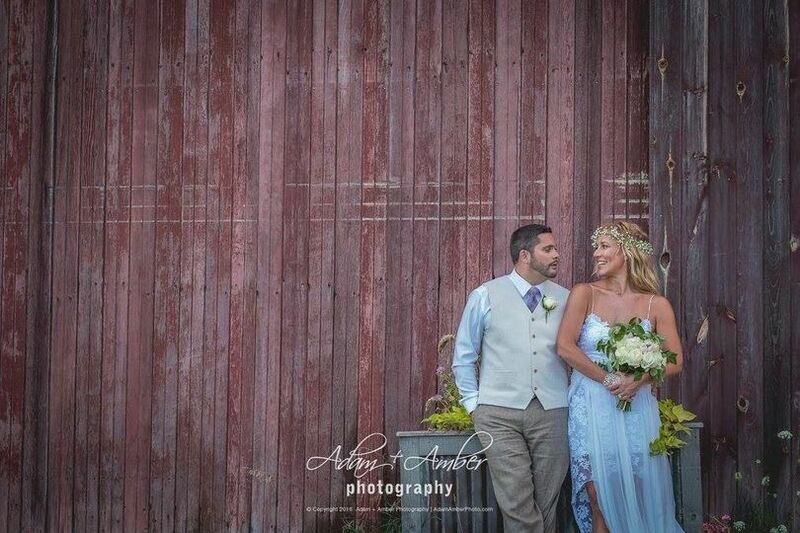 I would recommend 45 North to any couple I know that is getting married. Thank you 45 North and Channing! Thank you, Shannon! Hope you and Steve are doing fantastic, and it was surely a pleasure to work with you and your family celebrating your vows!